Spring Hotels have a hotel close to all the major golf courses in the South of Tenerife which makes them the perfect partner for the golf visitor and the Golf Courses alike. 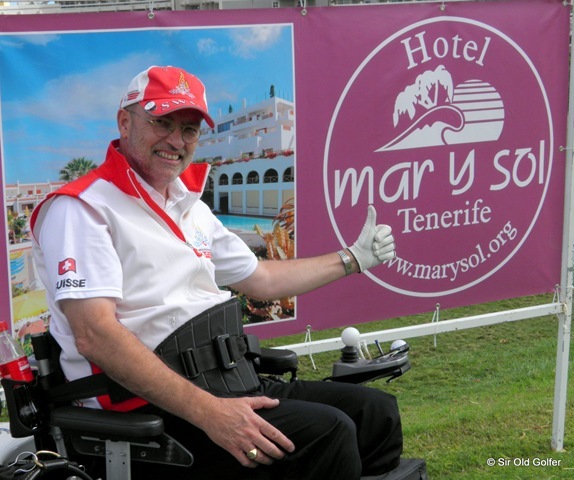 Every year they hold the Spring Hotels Golf Tournament, this year its on 25 September 2010, everyone’s invited to enter guests, holidaymakers and locals. 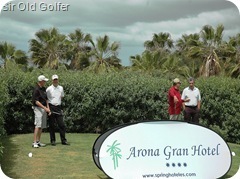 This year its being held at Golf Las Americas Golf Course which will be newly opened and will be in great condition . To make the event that little bit special, why not take advantage of a mini break at the award-winning four star Arona Gran Hotel just along the shore in Los Cristianos. Prices start at 50 Euros per person per night half board, two or three-day packages include green fees for players and accompanying persons. To book go to our website or email spring@springhoteles.com. Please add your. handicap and licence number if you have one. If you are not staying with us you can still book the green fees, 45 Euros, direct with the course through this link. This years Ladies Tenerife Ladies Open, part of the Ladies European Tour, will be held at Buenavista Golf Course in the North of Tenerife on July 1st-4th. Buenavista Golf course is a beautiful setting for such a prestigious event, once again sponsored by the Canarian government and tourism dept in conjunction with the Tenerife golf association. We can expect a full field of top class international Lady golfers including the 2009 winner Falicity Johnestone. So if you want to see how to swing a golf club properly and marvel at how a slip of a girl can knock a golf ball 50 yards past your best drive ,so effortlessly ,then this is the place you will see the best in Europe in action. Entry is free and I assure you of super day out.. so come along and support the girls and have a great day out for all the family at Buenavista Golf Course. Why not bring your clubs over and play the courses around the island and catch a few days of the open this summer holiday ? The second of the 1vTenerife and La Gomera Golf circuit is being played at las Americas Golf Course on Saturday19th June 2010.I am very disappointed that I won’t manage to play in this event as I’m in Scotland.This is one of the evnts I was most looking forward to playing ..Golf Las Americas is in fantastic condition with the greens rolling very fast. The circuit over the years has went from strength to strength due to the work put in by the Golf Association, the courses themselves and the sponsorship of the many Island based companies, like Gomasper, who all help make the day run smoothly and that all the participants have a great day out. The circuit this year is also open to both residents and holidaymakers alike and for just 50 Euro you get a round at the championship course with buggy, the presentation of prizes, refreshments and a great opportunity to mix with the locals and tourists who both have one aim in common ..to enjoy good competitive golf on a championship course in the Sun.. Although not at this event I hope to make the others and I will miss the fellowship of my fellow Tenerife Golfers this weekend.. It was 5.45 am and the alarm went off, I was in my Hotel the Las Aguilas at Puerto de la Cruz having travelled up from my home in the south the night before. 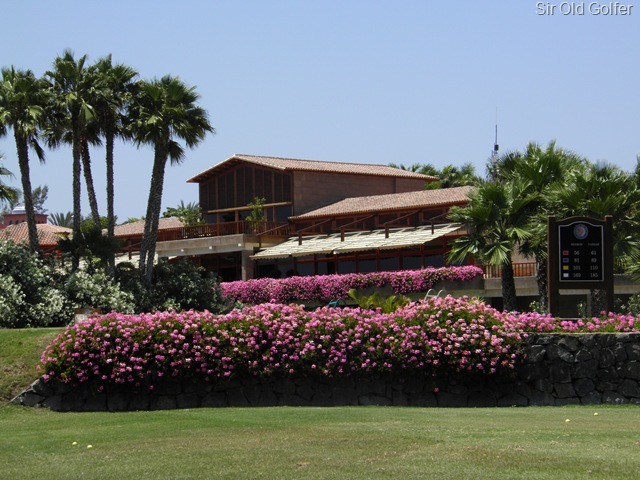 The date May 15th and the first game in the Golf Tenerife Circuito 2010 held at the beautiful Buenavista golf course in the North of the island. Leaving the hotel I followed the coast road to the Buenavista course it was dark, cold, windy with smirry rain a big change from the weather I had left in the South the day before. As I approached the course around 7.15am the sky was becoming lighter with the temp rising a bit, but blowing a gale. The event at Buenavista is organised by the Tenerife golf association and was the first of 7 tournaments held at Golf Courses throughout the island it was oversubscribed which goes to show the popularity of the Circuito is within the golfing community here in Tenerife with around 160 players registered to play. My tee off time was 8.05, the 2nd group out after a three ball, I think the last tee time was around 3pm in the afternoon so a big field indeed and a lot of work for Beatriz and Jaime from the association who were on hand all day, and evening, sorting out the many problems that I’m sure did arise but were not obvious to the competitors. I finished my game at around 12.30 so I had plenty of time to head back to the hotel in Puerto have a swim and relax as the presentation of prizes I expected to be at around 9pm. I had dinner at the hotel, as the food was excellent, met John Beckley who was staying in the same hotel and we headed back to the Golf course together for the evening reception . We arrived just in time for the prize giving, just as well as unbeknown to John he had won his category and was presented with a lovely trophy. 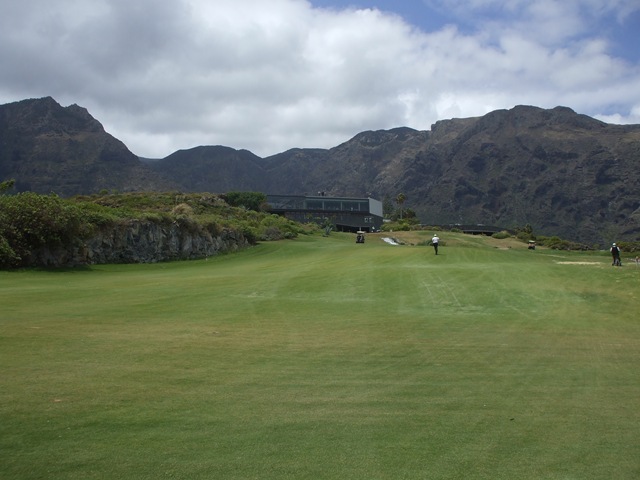 I must just mention the Golf course itself, Buenavista Golf which on July 1st- 4th is holding the Tenerife Ladies Open part of the European Tour. The greens for our tournament had been hollow tined, about two weeks before, so putting for us was tricky to say the least but I understand the management and green keepers position as I am sure by the time the Tour gets there the greens will be excellent and after all these Ladies make their living playing golf. To sum up the day my golf was not up to standard so no prizes for me this time, but I enjoyed the day,the golf, meeting old friends and some new ones. 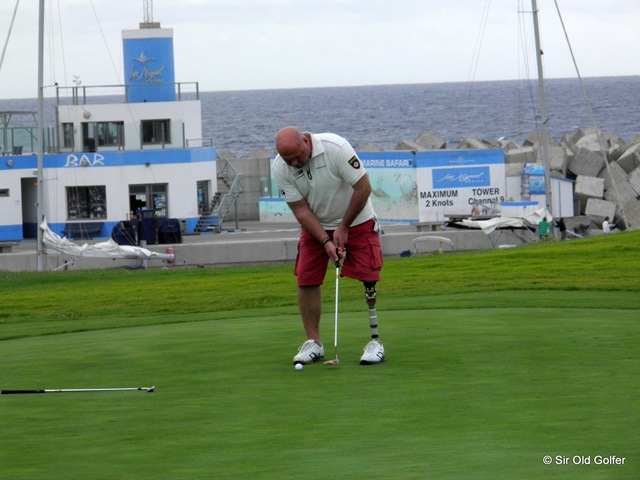 I am looking forward to the next outing on the circuito Las Americas Golf on June the 19th, here in the South,where I am sure the weather will be much kinder to us soft Scots….